We do a lot of talking about double utility poles from a safety perspective for good reason. Leaning or damaged poles left to further deteriorate or simply linger in drivers' line of sight and pedestrians' line of travel are hardly anything to sneeze at. 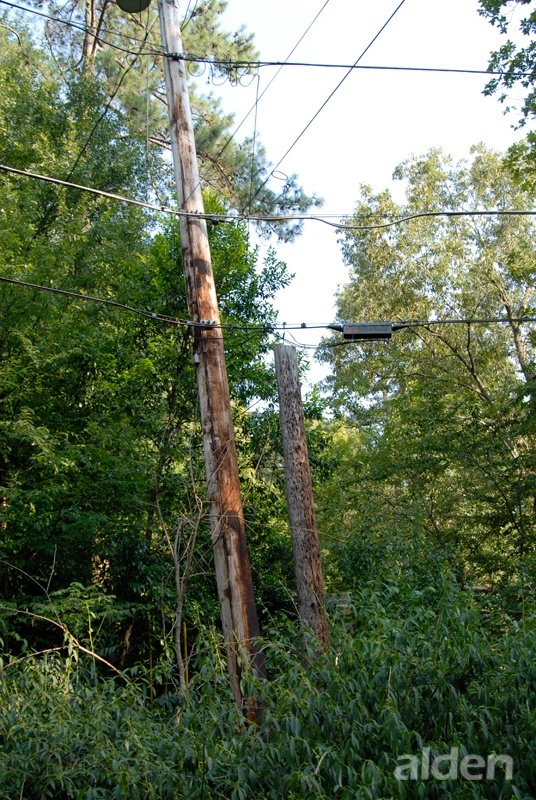 Connectedly, double wood also tends to attract the unfavorable attention of city councils, landowners and enforcers of the National Electric Safety Code (NESC), entities who can levy fines against double pole offenders. These are all arguably external field services issues; matters of public and governmental interest. What effect can an abundance of double utility poles have internally—within a joint use department? Quite a significant one, it turns out. Think reflectively about this issue and you will find that double wood is not only a problem for the everyday citizen, but it is also an administrative, staffing and above all, a resource contention problem for already overtaxed joint use departments everywhere. It happens to the best of us. You dirty one dish and the next thing you know, there is a pile of them in the sink. Just like less than mission-critical life tasks tend to breed like bunnies if you neglect them, so do overdue pole transfers. The time it takes to remedy one instance of double wood is significant enough when there are a hundred other business-as-usual tasks to handle, but the more poles a team needs to remove, the more man-hours it will take. It is just math—with a little human nature mixed in. Procrastination does not pay. Double poles tend to happen when a joint use department is already taxed beyond reasonable limits or when approved contractors have more work than they can keep up with. When resources are stretched thin, the overall process balance can easily be upset—and it is difficult to get things back in order. Fortunately for joint use departments in need of a little (or a lot of) help, a good managed services provider can plug and play easily into departments, augmenting field services staff and working efficiently to get the backlogged work done. Time is a resource. Money is a resource. So is human action. Double poles—when left to linger in the field—add up, requiring lots of manpower to adequately and effectively resolve them. When technicians are busy uprooting old poles and not perhaps fulfilling requests to attach (for example), a resource drain can also amount to a drain on revenue. That is a two-for-one punch no company wants to be hit with.